In all emails being sent out from my workflows, can I set the sender to a different email address? Rethink Workflow allows the workflow designer to specify sender and reply-to for email communications being sent out from our system. To change the sender and reply-to per workflow, click on the VARIANT and scroll down to "Email Settings" section. An internal workflow can only be initiated only by individuals belong to the same company. A public workflow allows individuals outside or inside of the same company to initiate. You can indicate a workflow to be internal or public using "Public" option on VARIANT tab of the workflow design page. When Public set to Yes, anyone from outside of your organization can initiate a new document by using the link generated in "Public URL." 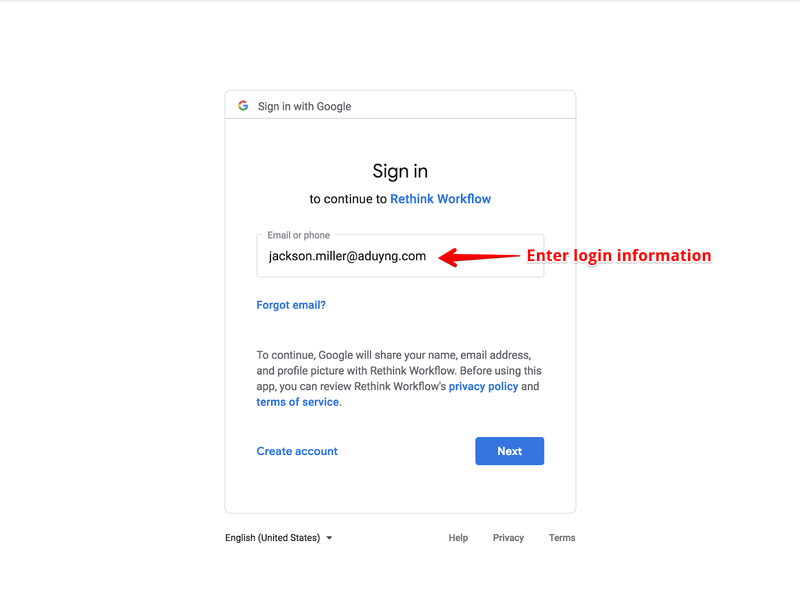 For example, the public URL or our Contact Us workflow is https://secure.rethinkworkflow.com/#index/index/company/56d23bbacf8a950300149d0e/workflow/5c092d062dae9800115cdc13 and we include it to this website on the top navigation links. 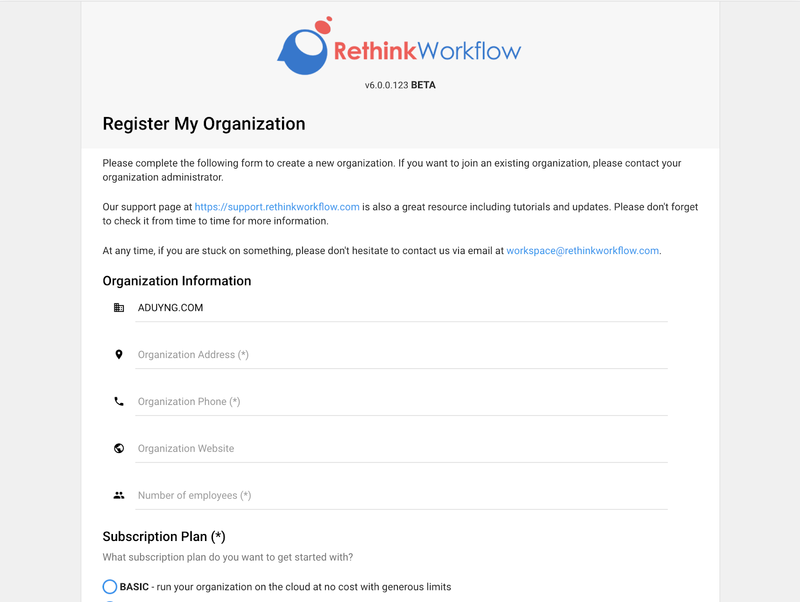 If the end-user does not have an account with Rethink Workflow, they can simply create one using our streamlined authentication process. 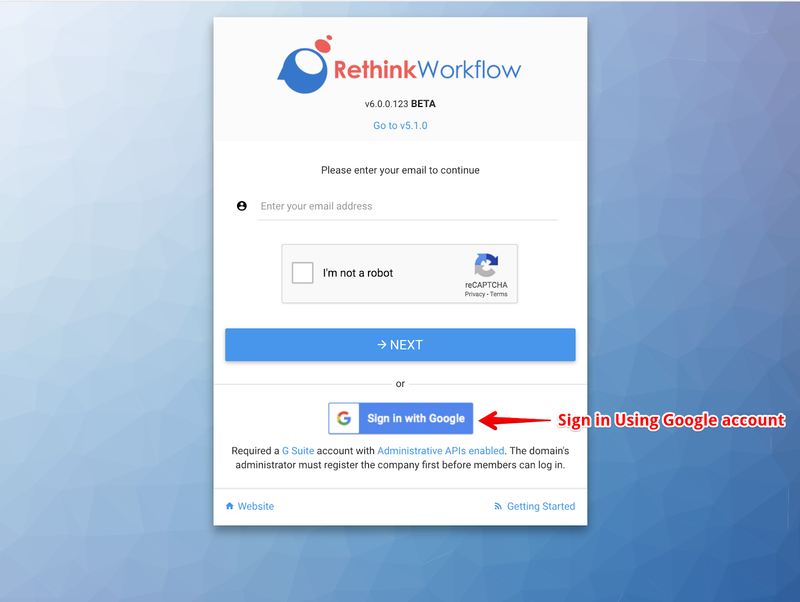 How to register an account with Rethink Workflow using G Suite account? 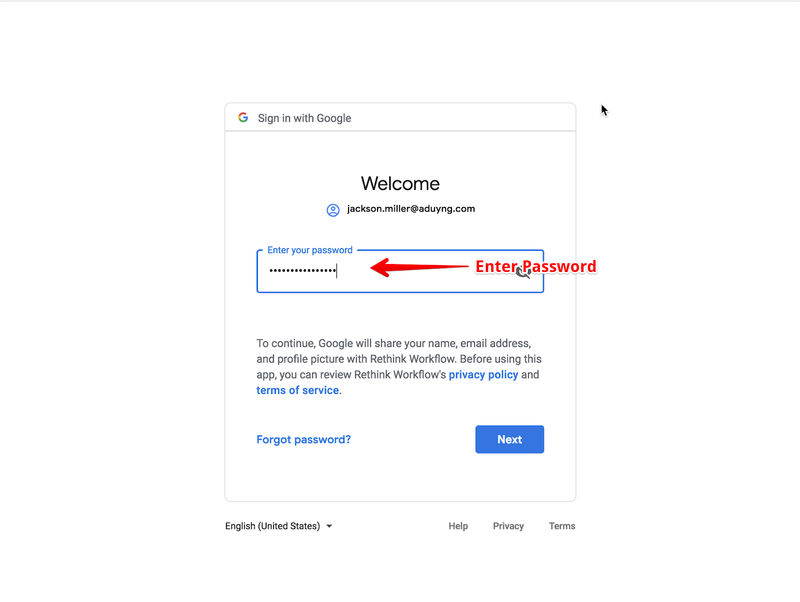 Once you click on this button, you should be prompted to enter your email and password as displayed on the next two screens.